If you have a complex video editing problem, you can book a Private Video Chat Session with myself. During a video chat, we will have the ability to talk face to face in real time and share computer screens. If you would like to invest time with myself to troubleshoot problems or learn some new techniques, please contact me before making your payment and briefly discuss what you want to learn, to make sure I will be able to help you. Use the drop box below, to select the length in time for your Video Chat Training Session. Because the vast majority of clients live in the USA, payment is in US dollars only. Support Movie Studio Zen on Patreon and earn cool rewards! Movie Studio Zen has a Patreon page, which allows you to help contribute to all the content that is produced here. The best thing about Patreon, is that you get rewarded for your support. Would you like to make a Financial Contribution to say Thanks ? I have received many wonderful messages from people all around the world, thanking me for the information on Movie Studio Zen and for the time I volunteer in trouble shooting people's Vegas problems. If you would like to help support Movie Studio Zen for the free information that is published here, then I very much appreciate your gratitude. Any extra money that I do receive will help in paying for the ongoing running costs of the website. 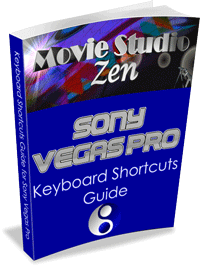 Check out my FREE Keyboard Shortcuts Guides! All payments made to Movie Studio Zen are handled by PayPal. So when you press the Donate button, you will be taken immediately to PayPal's secure website with the Green Padlock engaged. 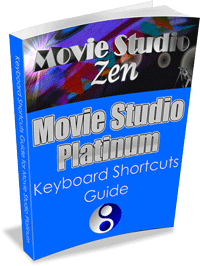 Once your payment has been made, you then will be sent directly back to MovieStudioZen.com. Paypal will email you a receipt for the transaction immediately. I have created an special Amazon Store where you can find links to many different versions of the software featured on this website and I have also included categories for camera and recording equipment I recommend. Press this link to check to shop at the Movie Studio Zen Amazon Store. Very soon I will be releasing some in depth training videos for Movie Studio Platinum and DVD Architect. 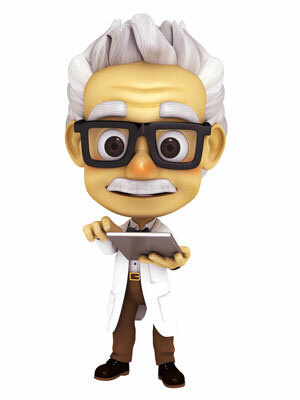 In the meantime, if you have any questions or tutorial requests, please post a message on the Forum.